- Theres nothing wrong with being a fairy, brother! The Hulkster can garantee you, brother. Theres some pretty tough fairys flying around on this world, brother! Also an interesting note for those who read my crusade thread, the Russian authorities in the 1600s actually make specific mention of Lithuania's amazingly persistent customs: The forbid any Russian from buying Lithuanian herbs, as they are used to do magic in Lithuania. What's messed up is when you cross the line from thinking this was all fuss over superstitious nonsense VS thinking maybe some actual skills were known and certain real powers may have existed that were snuffed out. I dont think the witch trials were able to snuff them out. I think it lasted until the Soviet Union's religious supression and generally the nihilism of modernity. A similar situation to the English cunning folk. For anyone who watched the docs, remember when they said once you start thinking about the fairies you can see them? Well yesterday the fairies managed to circumvent my agnosticism and hardline skepticism. Not long ago I decided I wanted a video game to play on my phone and so about a week ago I downloaded Dragon Quest 5. 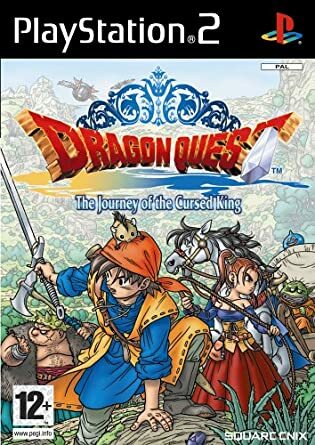 The Dragon Quest series was big in Japan but never became mainstream in the West. Its basically the sequel to some obscure old games from the 80s I emulated 5 or so years ago. 2 days ago I finished the last of my immediately available resources on the fairy faith, then yesterday while playing DQ5 I went to a tavern/inn in the town I was staying at and noticed a faintly visible young woman sitting at the bar. She was surprised when I spoke to her, saying other couldnt see or hear her. She explained she was a fairy who had come from Fairyland, and she wanted me to return there with her to meet the fairy queen. At this point I was expecting a nearby animal to reveal itself to be Isobel Gowdie and changelings to jump out from behind the bar and tear the tavern apart. Now I know what you're thinking, I picked that game because the fairy research put the fantasy setting on my mind and a ton of games have fairies and similar stuff. Well actually I play fantasy themed games all the time and have since I was a kid. I cant think of a single one where there are so many parallels to this very specific set of recurring themes in my research. Still, it could all just be a series of coincidences. But maybe my wyrd was woven long ago, and this is all part of a path the progenitors are leading me though. If you can hear me, Im ready to come home. Luigi wrote: For anyone who watched the docs, remember when they said once you start thinking about the fairies you can see them? Well yesterday the fairies managed to circumvent my agnosticism and hardline skepticism. Not long ago I decided I wanted a video game to play on my phone and so about a week ago I downloaded Dragon Quest 5. The Dragon Quest series was big in Japan but never became mainstream in the West. Its basically the sequel to some obscure old games from the 80s I emulated 5 or so years ago. 2 days ago I finished the last of my immediately available resources on the fairy faith, then yesterday while playing DQ5 I went to a tavern/inn in the town I was staying at and noticed a faintly visible young woman sitting at the bar. She was surprised when I spoke to her, saying other couldnt see or hear her. She explained she was a fairy who had come from Fairyland, and she wanted me to return there with her to meet the fairy queen. At this point I was expecting a nearby animal to reveal itself to be Isobel Gowdie and changelings to jump out from behind the bar and tear the tavern apart. - I played on PS 2. But never knew the name till last year when for some reason i stumped on the trailer of that game. This is very interesting. I am not a big believer in too many coincidences, I tend to listen when I see things connecting or themes repeating. You should chat with our man SR Brant... he has some interesting theories about a possible middle-ground between things being just our imagination and things being 'real', like one fuels & creates the other, etc. Looked at in this way, I can see how if for example some first nations tribe or whatever really really believes in certain metaphysical things, they will surely start to 'see' it, translate their realities from this perspective, interpret experiences in this way, etc. Therefore they have undoubtedly witnessed so-and-so working their magic, it is undeniable to them. Is it all superstitious/not real/in their imaginations? Possibly. But for THEM its real, so there is something happening, no? To what degree do our thoughts and imaginings influence or even create reality? SRBrant can explain better then me, I may even be misunderstanding his theories. Apparently in some Gaelic tales the fairies are seen as later versions of the Tuatha De Dannan(a powerful clan of gods/mythic heroes from Irish mythology).